The Right CMS for me! I was going through my own personal blog found here a couple days ago and found some wonderful information there that I thought would be perfect to explain a little more about the CMS ( Content Management System ) that we use here at White Fox Studios. Below is the full article, please read and learn a little bit more why we (White Fox Studios) choose drupal. One thing to note is that the blog I created back in 2013 was built with wordpress, funny how I chose to write about drupal on a wordpress website. Over a year later and I still believe drupal rules them all. Through many errors and trials of investigating open source CMSs I have come across some powerful,efficient, and easy to learn CMSs. Some notable ones include WordPress, website baker, Joomla, GetSimple, and Drupal. I have came to the conclusion, however, that Drupal has come to be my favorite. There are many reasons for my decision and I will cover these in the next few paragraphs... Maybe I will show you something that could change your mind on why Drupal is so amazing. Drupal was initially create to be a message board by Dries Buytaert in 1999. Drupal was so successful that many people became interested using and developing for a more powerful Drupal. Since Drupal is an open-source CMS anyone can develop for it which provides a great community. In 2001 Drupal.org became available, allowing for this amazing community to collaborate and accept standards. In 2005 Drupal really started to gain momentum and blew up into what it is today... A very powerful CMS! Drupal has been open source ever since it was created. Because of this, over 630,000 user and developer have contributed to Drupal, making Drupal more cutting-edge and allowing for Drupal to support the latest technologies. Drupal includes powerful tools to set permissions and give access to certain kind of users. This is powerful when you are working with a client that wants to update the content. You can give access to a user to accomplish specific tasks without worrying about if that user will mess something up that they don't understand. The feature usually is in most CMSs, however, I wanted to point out that Drupal also has this conventional feature. Drupal's easy-to-use web interface allows to create content in a straight forward way. Drupal is able to handle a long list of content types including video, text, blog, podcast, polls, and articles. 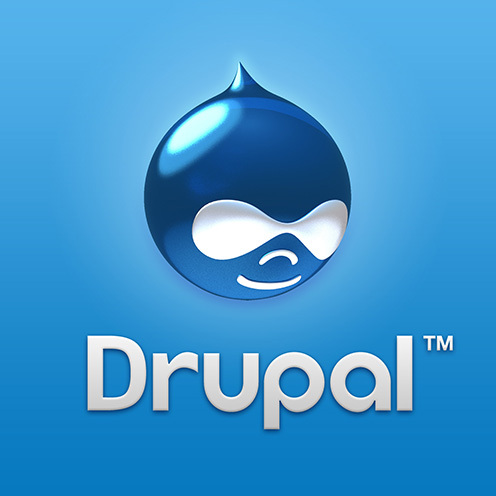 With Drupal custom programming is not required to create a stunning web presence in just a matter of hours. Also note that you will not need to start from scratch every time you create a new project, for there are multi-site configuration and Drupal distribution features. These will help determine pre-defined configuration of site features and functions. Like most CMSs, themes or templates are available for Drupal as well. There are countless Drupal themes on the community site and even create your own and share it with others. These themes are easily installed through the web interface or through your FTP. Since Drupal's community is thriving, connecting with others is that much easier. Drupal makes it very simple to connect your website to other sites and services across the web, using aggregation, feeds, and search engine connection capabilities. Drupal even integrates all social networking types to ensure there is a nice flow between the two worlds. Drupal makes setting up your site to be specific in what is included on your website with options to set meta tags and descriptions. Every piece of content can be cataloged and given semantic information, which allows for search engines to help connect you with the user that want to find you. I find Drupal to be one of the more powerful CMSs out there. With how much support that is out there within the community, all your questions can or will be answered. I find that Drupal is a lot more difficult to understand and learn, however, once you do, everything just clicks together in a very productive work flow. It is hard for me to say whether or not every developer or web designer should learn this because it just depends on how they want their work flow to be. My best answer is to say that give Drupal a try! There are many tutorials out there that can lead you into creating very powerful websites. If you want to learn more visit drupal.org So you tell me what CMS do you prefer?